Arriving at Deanston's, lying beside the river Teith, on a typical Scottish day (rainy all the way, sunny after parking) is already a nice experience. The distillery building is what you call atypical. Large part of the building was formerly used as a weavery/cotton mill, now mainly used to store casks. Some other parts were added to the building. Nothing that will startle you Frank Lloyd Wright fans, but the comic style fonts announcing that Deanston Distillery is located there made us happy enough. 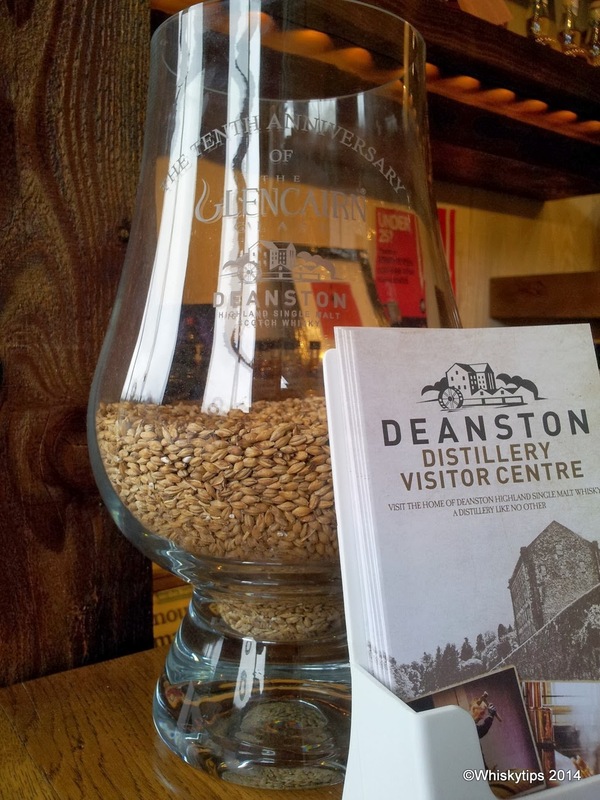 Deanston turned into a distillery in 1965, which makes it a relatively young distillery, even with it's almost 50 years of age. Apart from the usual mashing and still house, there a lot more to see in this distillery, for example the hydrogenerated power supply, which makes Deanston unique in Scotland. They also do their own malt grinding. Finally you get a look around in one of the warehouses. We made a video that gives you an impression of what to expect. We liked the part where they switched on the mash tun just for us. But seriously, this is a hands-on distillery, with a nice history, a little bit different than the others and comfortably close to Glasgow, Edinburgh and South Queensferry. 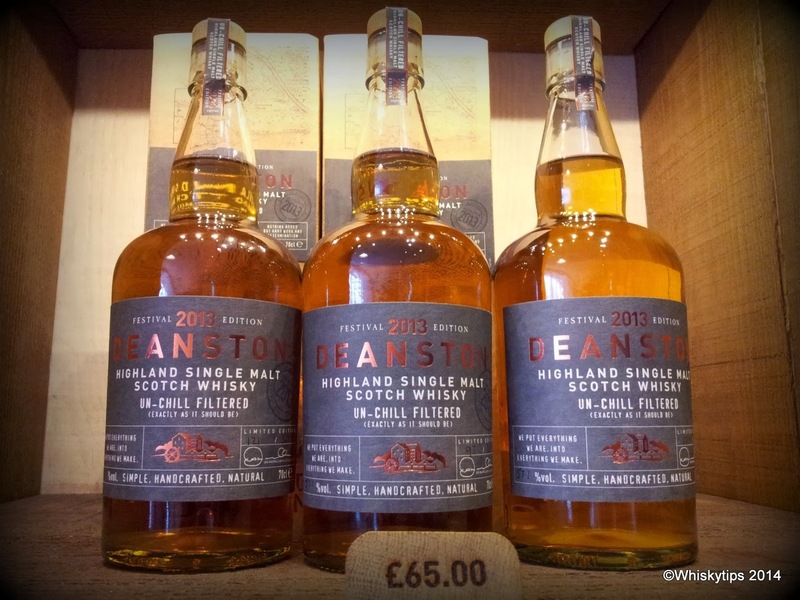 Deanston is part of Burn Stewart Distillers (that also has Bunnahabhain and Tobermory in the portfolio). In 2013 South African based drinks company Distell bought Burn Stewart. At the distillery shop you can buy the core range of the Virgin Oak and the 12 year old. Especially the latter is real good value for (malt) money. That's our whiskytip and we'll do a proper tasting review another time. You can also spend some more money and buy for example the Spanish Oak version, something really special, but you have to be quick as this is a limited edition. Or fill your own bottle, which is a great souvenir. You can enjoy a great lunch at the Coffee Bothy right next to the shop. All in all we can certainly recommend a visit to this distillery. If you have already been there, share your thoughts on this page or on our Facebookpage. ->Special thanks to Ronald Zwartepoorte of Whiskypassion.